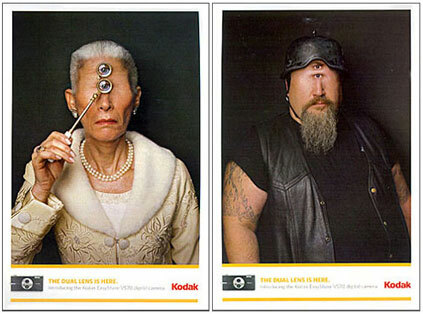 Here are a couple of postcards from Ogilvy’s campaign for Kodak’s dual-lens EasyShare V570 camera. (We posted the image with the dual-cyclops dog earlier this week.) The fellow at right must’ve had that helmet custom-made.